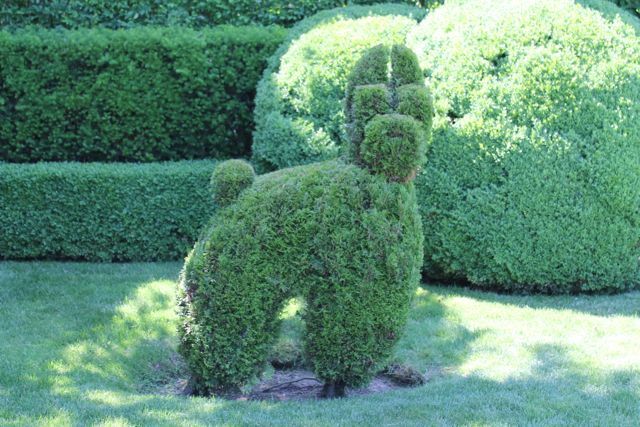 The 30th Annual ARF (Animal Rescue Fund of the Hamptons) Garden Tour took place this Saturday in the towns of Wainscott and Sagaponack in the Hamptons. I believe this is my 4th time going, I feel like this was the best year yet. We joked at the first house, that we didn’t need to go to any other houses, because the Landis house was pure bliss, the gardens the pool, the view overlooking Georgica Pond, frankly I don’t even remember looking at the house at all! 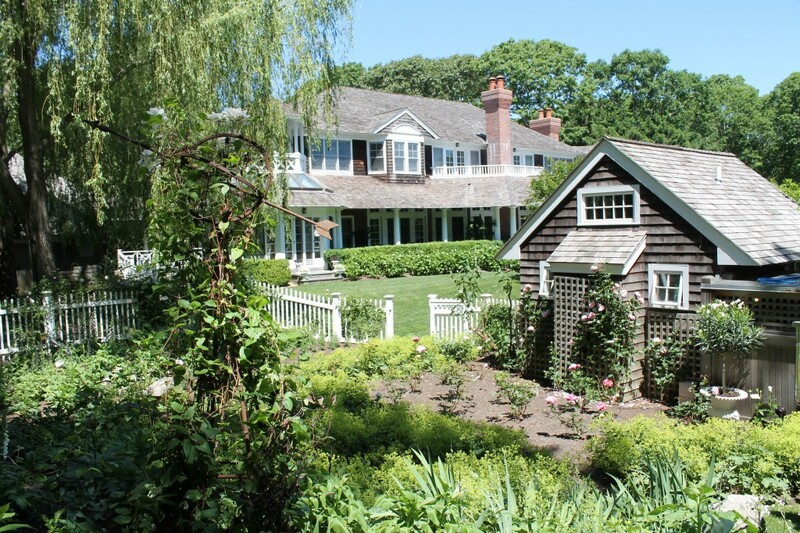 It was exactly what you think of when you think of summering in the Hamptons – and why some people would just be happy staying at their homes – so much to do on that property, really no need to leave! 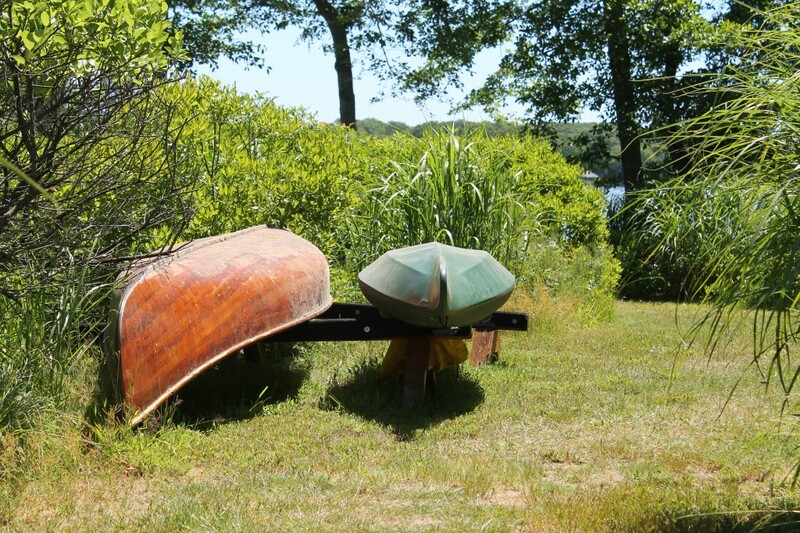 Canoe and kayak ready to go in the water! 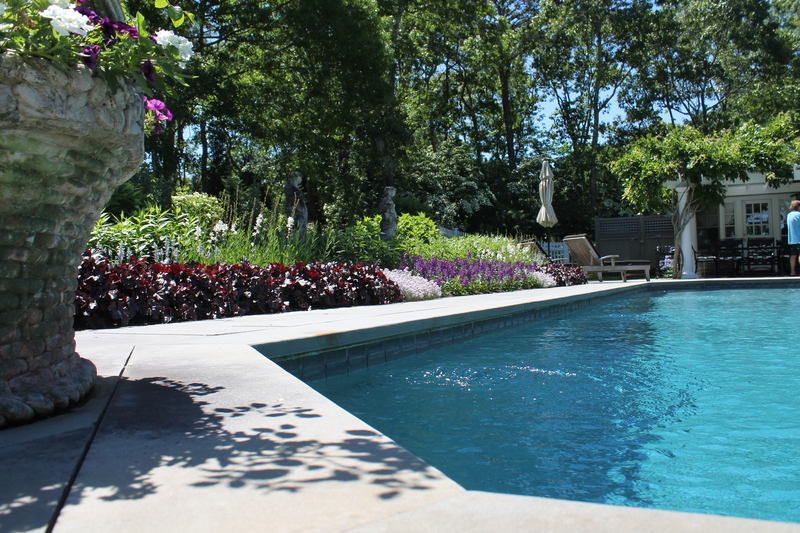 To see MANY more pictures of the amazing houses and gardens, CLICK HERE! The official start to summer has begun and with it are many, many pet events taking place all across our isle. 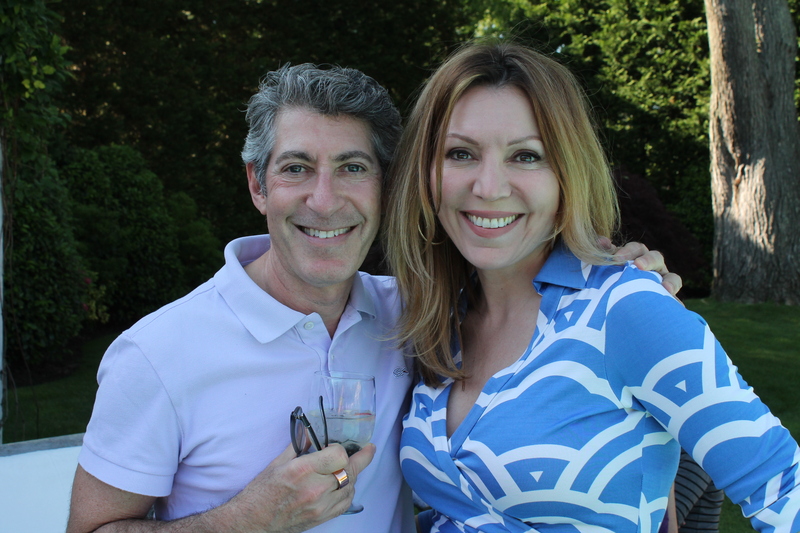 Just this past weekend I attended two events in the Hamptons were all about pets, the Southampton Animal Shelter Foundation (SASF), had a wine tasting benefit at the Southampton Center, (former Parish Art Museum), where celebrities, the mayor of Southampton and many supporters came out to enjoy the early evening benefit. 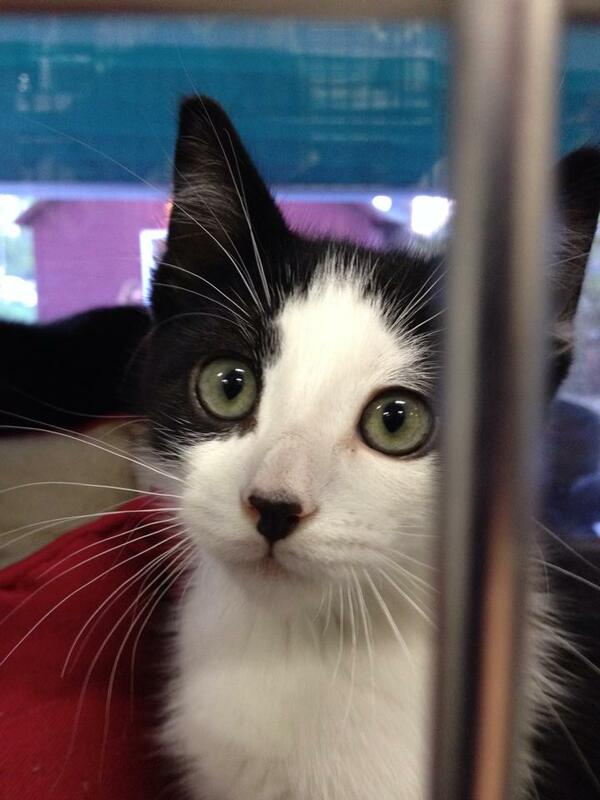 As you enterd you were greeted by some of their precious shelter animals that are for adoption too. One blue pit bull had the best ears I have seen – think French bulldog ears on a pit! This dog was so, so sweet and cute – they currently have about 200 animals available for adoption. If you have never been to their shelter located in Hampton Bays – you should – it is a beautiful facility and they emplore play groups with many of their dogs so they are socialized! 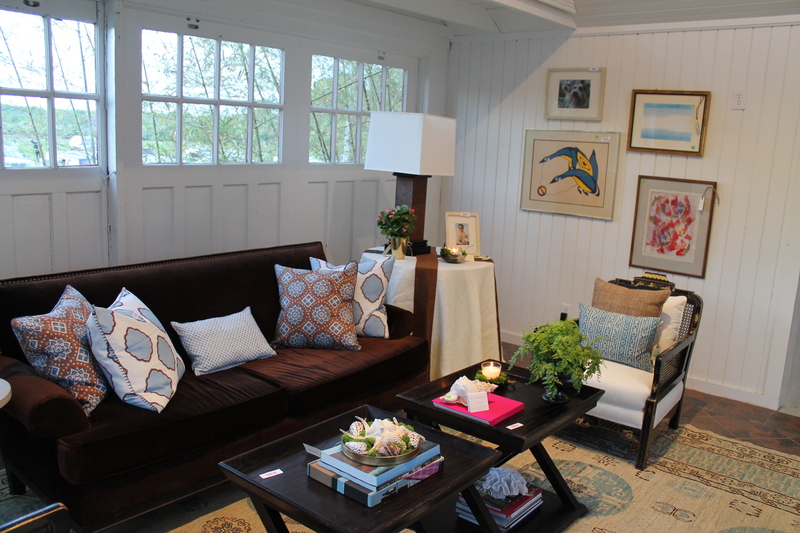 From there the SASF event in Southampton, I then headed to the Animal Rescue Fund of the Hamptons, (ARF), annual Designer Showcase at their beautiful thrift store in Sagaponack (located minutes from Bridgehampton village). The house turned thrift store has each room decorated by different interior designers, each with a different flare – something for everyone to enjoy. Not to mention the adorable pets they too had on hand in their mobile unit. I personally wanted to take home the two 8-week old sibling kittens that were having a blast playing with each other. OMC (That’s Oh My Cat people!) they were just too cute. If you missed the showcase – that’s ok you can stop in the thrift store anytime seven days a week and shop and know your purchases are going towards rescue animals. This summer while out on the east end, be sure to pick up a copy of the much anticipated Hamptons Pet Magazine which will be available the 3rd week of June (on or about June 25th). This premeir collectors edition issue will feature: Pet Culture; Health & Wellness; Grooming; Travel; Training; Celebrity Insights; Seasonal Health; Pet Fashion; Animal Rescue & Welfare; High Tech Pets and more. The ultimate Summer magazine for Pets and People and written by local and national pet writers. If you are one to summer in the Hamptons, or visit for a weekend or two – you definitely want to check out the upcoming pet events below and don’t forget about the North Fork – which also offer many wonderful events starting with this weekend at Baiting Hollow Farm Horse Rescue’s ‘The Mane Event’ benefitting their Horse Rescue taking place on Friday, May 30, 2014 at 7pm. Click here for info. 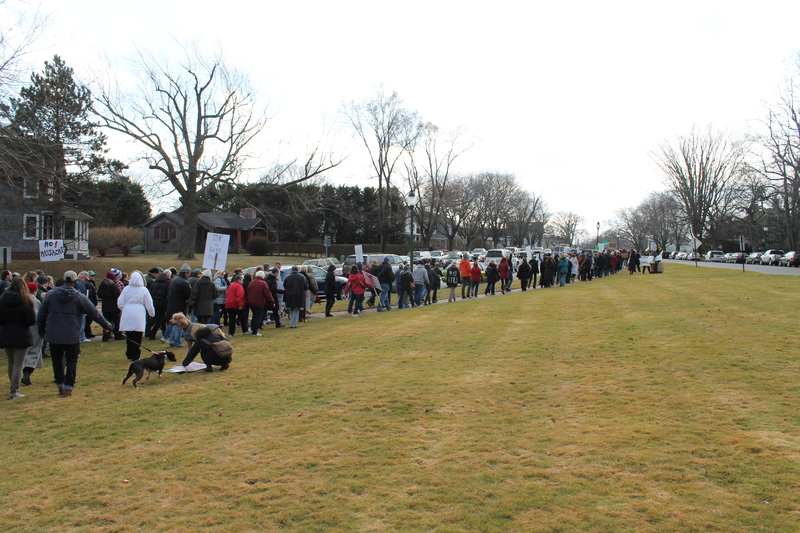 SASF – Southampton Animal Shelter’s Hamptons Dog Walk and dog park opening, Sunday, June 8, 2014 at 10am>> Click here to register and find out more. 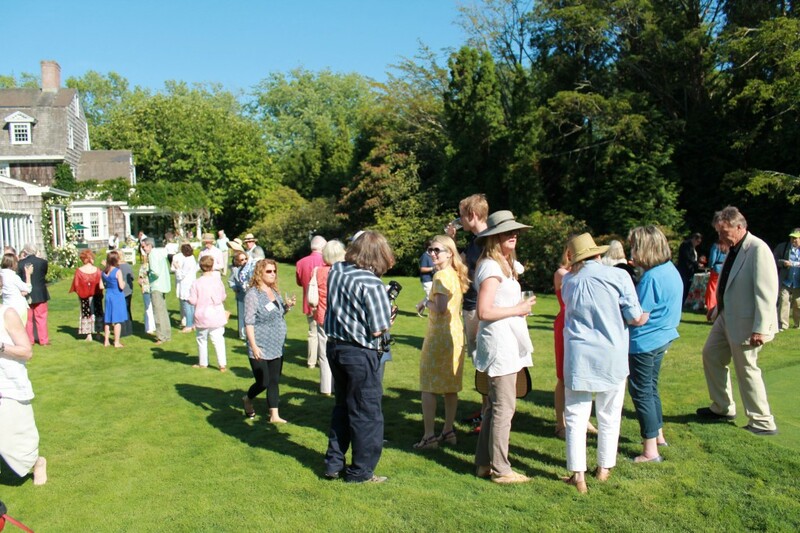 ARF – 28th Annual Garden Tour – Saturday, June 21, 2014>> Click here for more info or to purchase tickets. 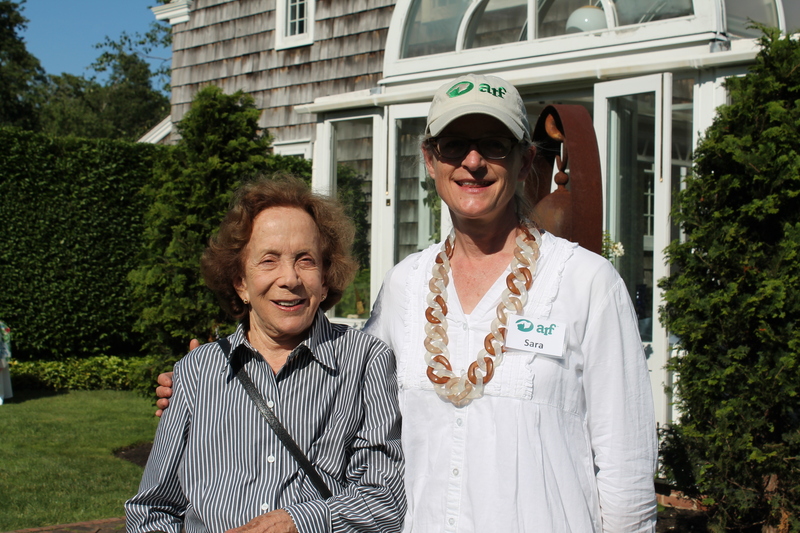 NFAWL – Summer Gala on the Corso Estate in Cutchogue, Saturday, August 2, 2014.>> Click here for more info. Wildlife Center of the Hampton’s Annual Get Wild event on Saturday, August 9, 2014, 6pm >> Click here for more info. PetHero Awards, Saturday, August 23, 2014 at 7pm, held at a private residence, click here for more info. 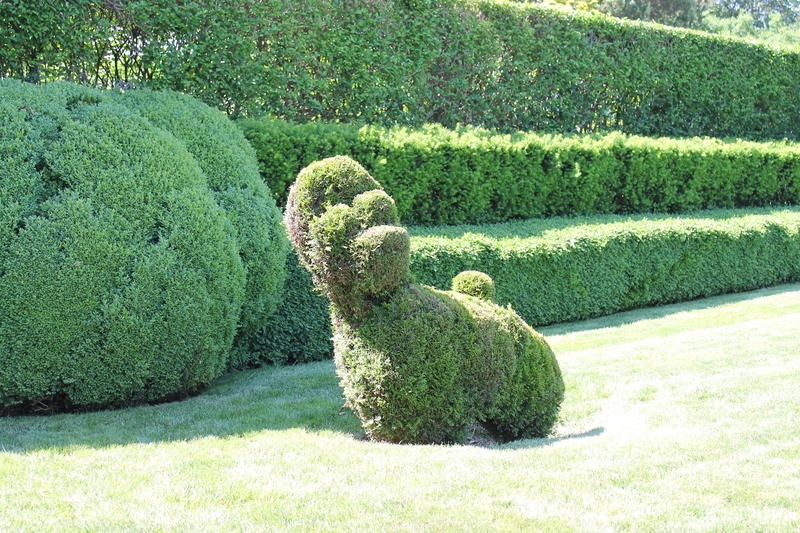 Hampton Classic Horse Show, August 23 – 31, 2014. Click here. And be sure to sign up for our weekly Pet Events Newsletter so you do miss any events happening in the tri-state area and beyond! SIGN UP HERE! 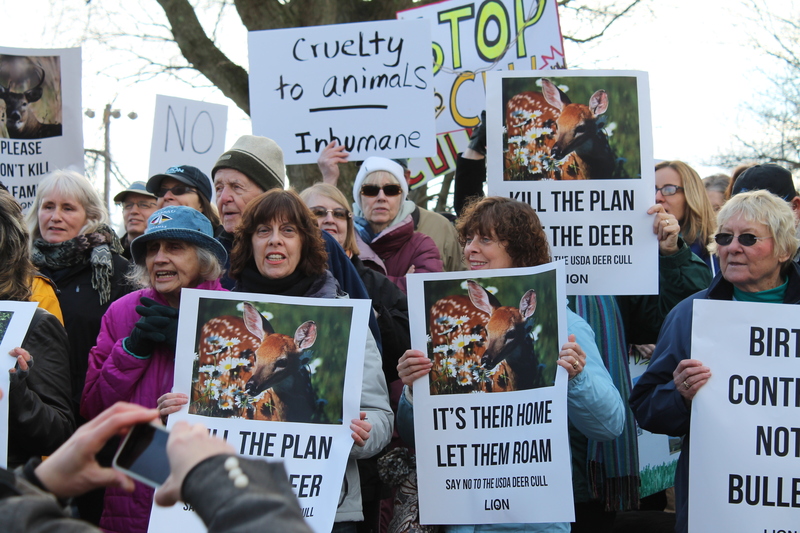 It’s not very often when hunters, animal welfare and animal rights advocates get together to protest against a deer cull. 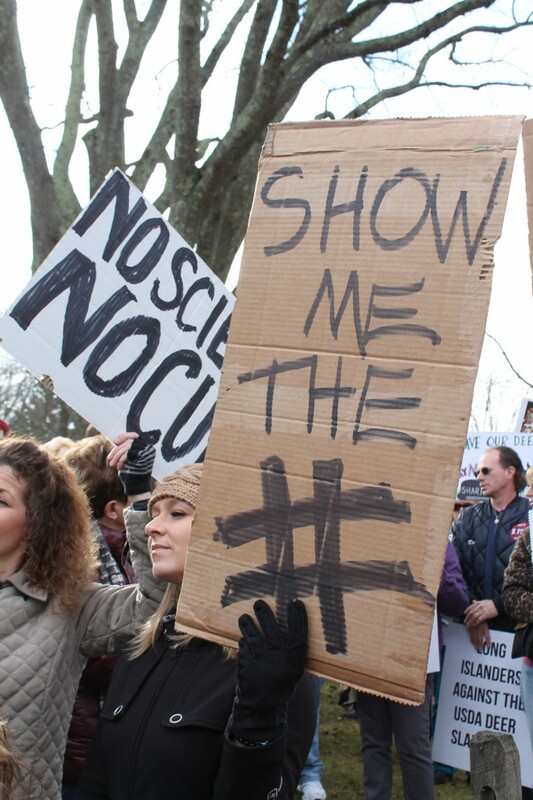 That’s right protested together against the upcoming deer cull set to take place in February on the East End of Long Island. 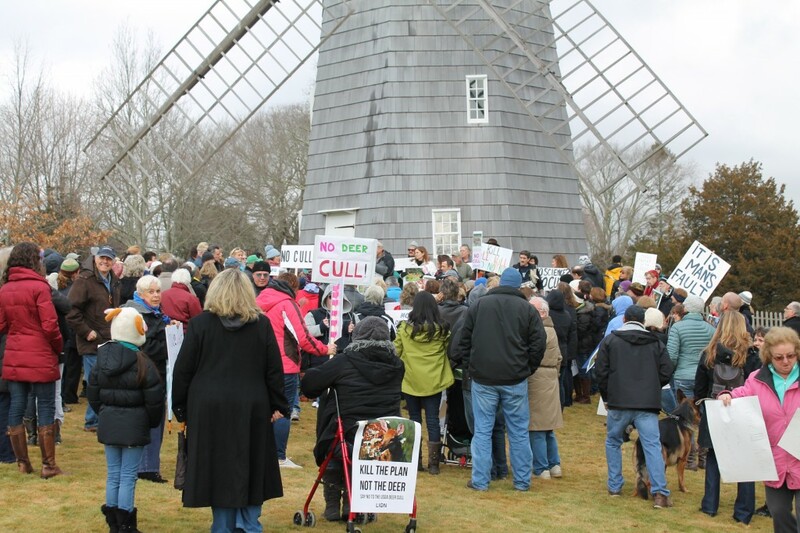 Nearly 200 people showed up on Saturday, January 18, 2014, at the protest which began at Hook Windmill in East Hampton, NY, organized by Long Island Orchestrating for Nature (LION). The protestors started at Hook Mill and then walked down Newtown Lane to Herrick park. Chanting and along the way, and while passing the high end shops on Newtown Lane, many store owners came out to clap and cheer everyone on – so you can see a lot of people are against the cull. The deer cull will have federal sharp shooters with silencers and night vision to kill up to 3,000 deer across the South and North Forks in the dark of night. East Hampton, Southold and the Town of Brookhaven are signed up for this. Southampton has still yet to decided (at press time) and thank your Riverhead for not signing on to this and caving under peer pressure. The Long Island Farm Buearu who have secured a grant of $250,000 to have the deer killed have also asked the towns and villages to chip in $15,000 to $25,000 towards this slaughter. 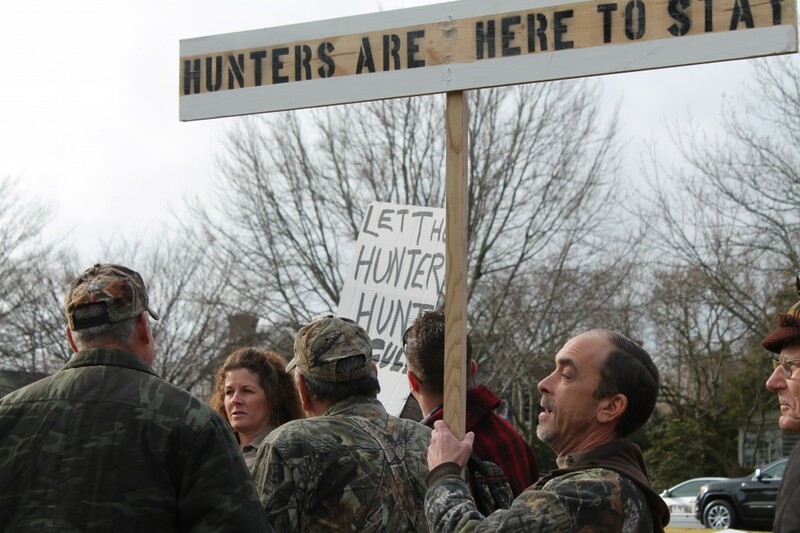 Hunters are protesting because they want to be able to hunt the deer and donate and eat the deer meat, (yuck!) and to keep the population down. And I guesss their argument makes sense, as they have to pay for their licenses to hunt, yet the towns and villages will use your tax dollars to pay the sharp shooters? In speaking with a few residents along the way, they are really agains the cull. A good friend of mine, Todd, who has lived in East Hampton for well over 10 years, he said, “why don’t they just extend the hunting season? 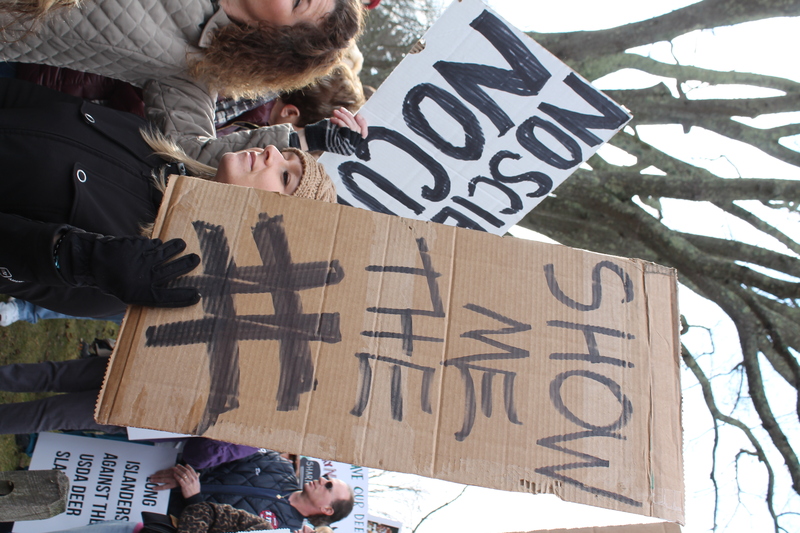 Instead they are using our tax dollars, it’s ridiculous.” They could also use birth control efforts like they do on Fire Island to keep the population down, I said. I am personally not a fan of hunting of any sort and I love seeing deer wherever they are, and lived in Southampton for 6 years, and never had an issue with deer destroying anything where I lived. 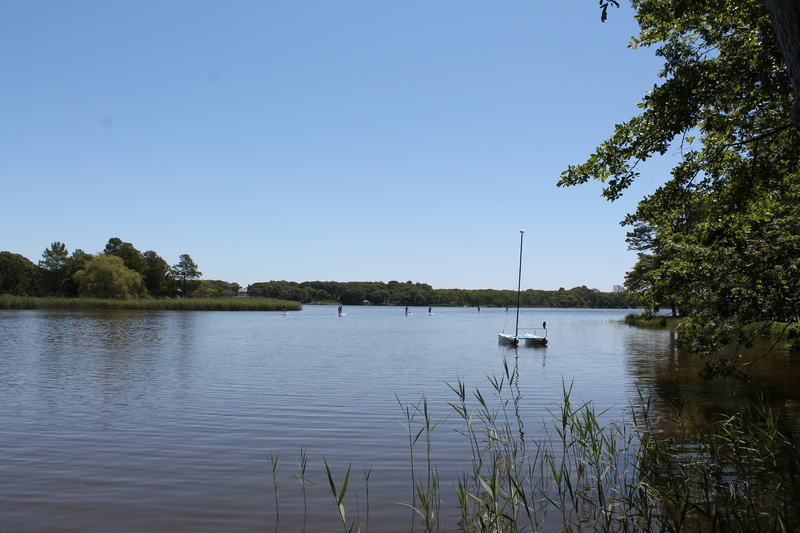 And isn’t it ironic – that today on my way out to East Hampton, I took the back roads, I didn’t see ONE deer, then on my way back, not only did I take different back roads, but I walked through a wildlife preserve near Sag Harbor, not ONE deer, and didn’t see any, anywhere the rest of the way back. 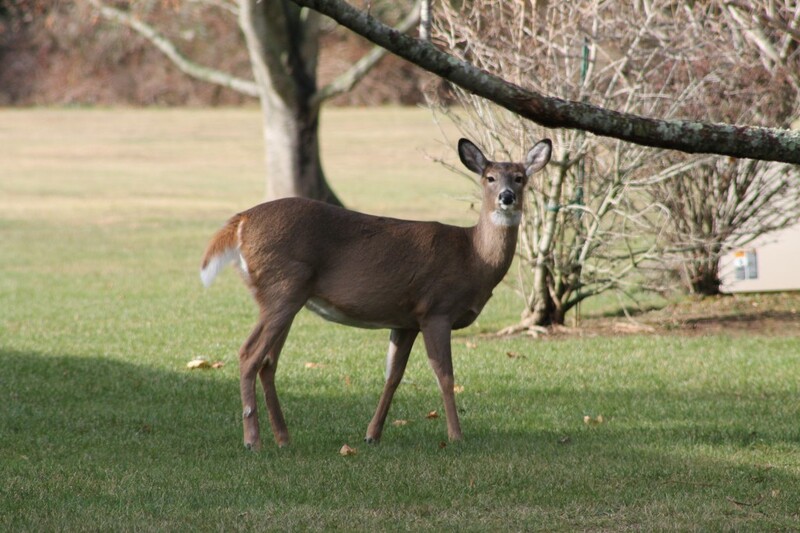 The towns are estimating that there are 30,000+ deer on both forks and throughout Riverhead. 30,000! Really, how did they count them? Don’t you know deer travel and move around – so how did they come to that number? Where is the proof of this? People for the cull that live on the east end are claiming the deer are causing lyme disease, damage to their property or crops and car accidents. Yes, there are car accidents due to deer it is sad for both parties involved. And lyme disease is common – but you can get Lyme’s disease from a deer tick on any part of Long Island – as the ticks are also on mice and other smaller animals. Lyme disease is from the tick, not deer! Ever walk through Bydenburgh in Hauppauge with your dog? You are bound to find ticks, yet there are no deer at that park. 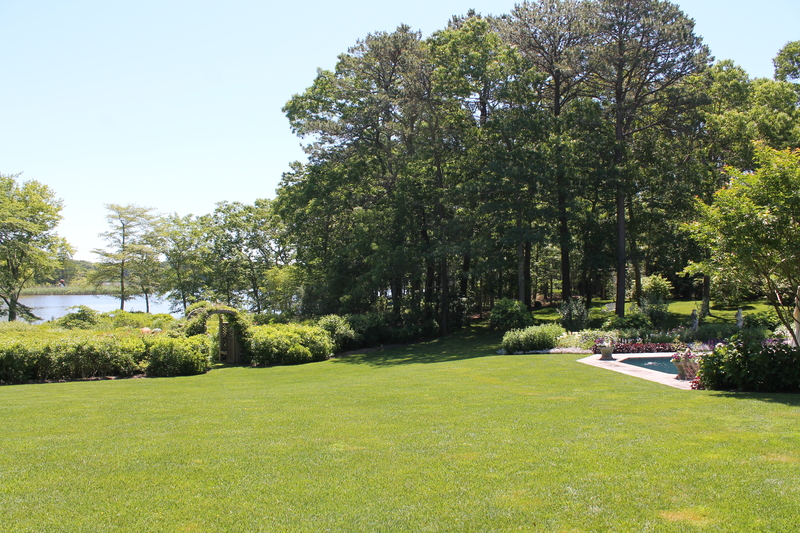 Gardiner’s Park in Bay Shore, any where really – you can even get a tick on you from your own landscaped backyard. I know someone who got Lyme’s Disease that lives in NYC. The thought of sharp shooters on the back of pick up trucks, walking around shooting deer at night is just un-nerving. Because that is a safe way to do it, can you hear my sarcasm? For the residents of the east end I would be worried about my personal safety, children’s safety and for my pets safety. What about tourists that are out visiting off season who don’t know bout the cull at night? Not to mention of course the beautiful deer that will pay the ultimate price. 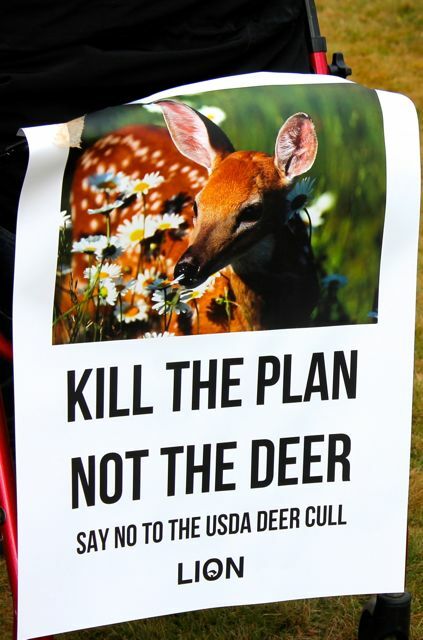 This cull, seems like an accident waiting to happen – and this is coming from a complete non-alarmist – but if you really think about how dumb this plan is. There has got to be a better way. 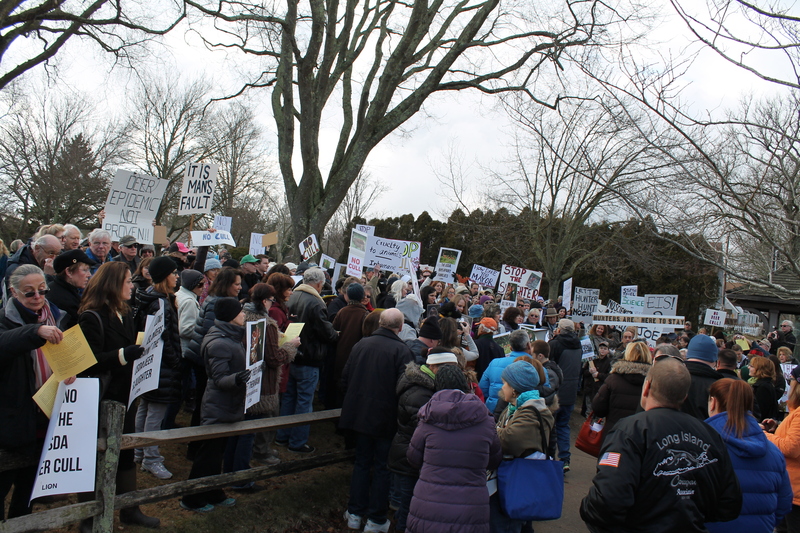 During the protest a local East Hampton resident and his two young daugthers stopped and he said explaining to his girls, “the hunters are hear protesting against the people who don’t want the deer to be killed.” I said, “Actually everyone is here together, hunters and animal welfare advocates, they all want to stop the cull.” He was surprised. We were discussing it along with a few other people and he too said, he doesn’t want it to happen, that he is worried for his and his family’s safety. 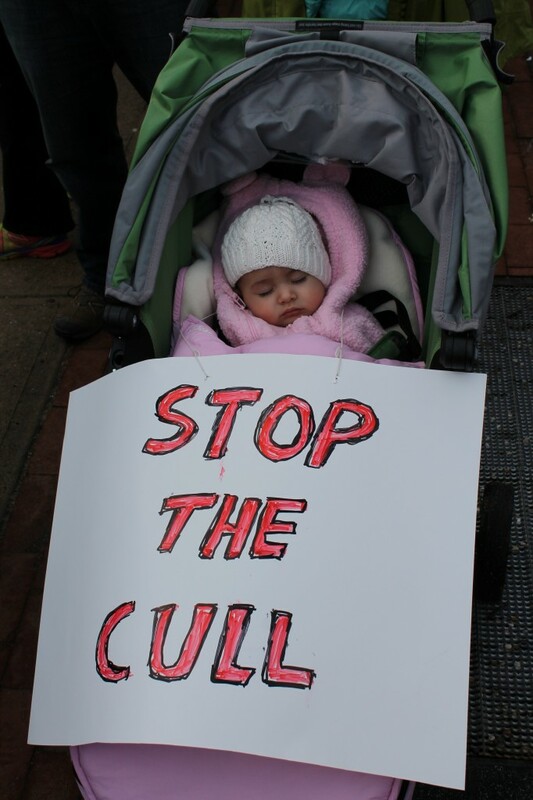 There are a few law suits fighting to stop this cull, both by hunters and by The East Hampton Group for Wildlife that want to stop this. If you want to get more invovled contact LION by clicking here and ask what you can do to help stop this cull. 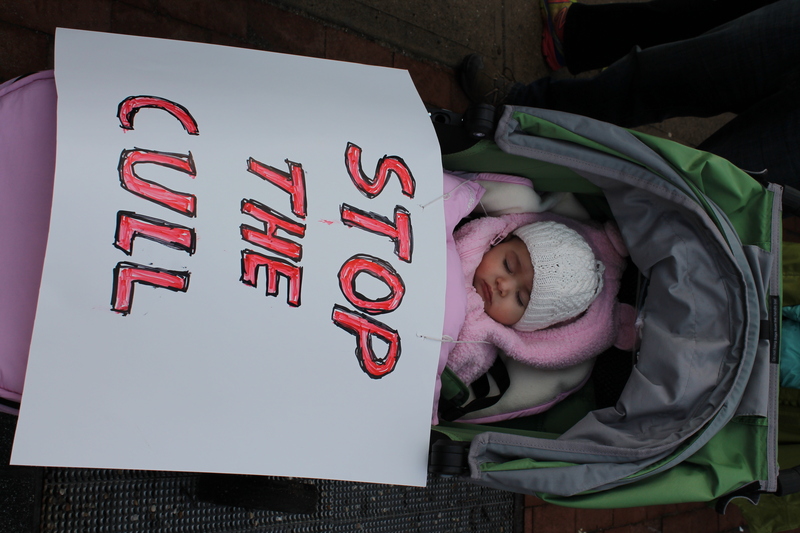 Even the littlest protesters where there. It was a spectacular day Saturday June 15, 2013 on the east end of Long Island to take part in the Animal Rescue Fund of the Hamptons 27th Annual Garden Tour and cocktail reception. 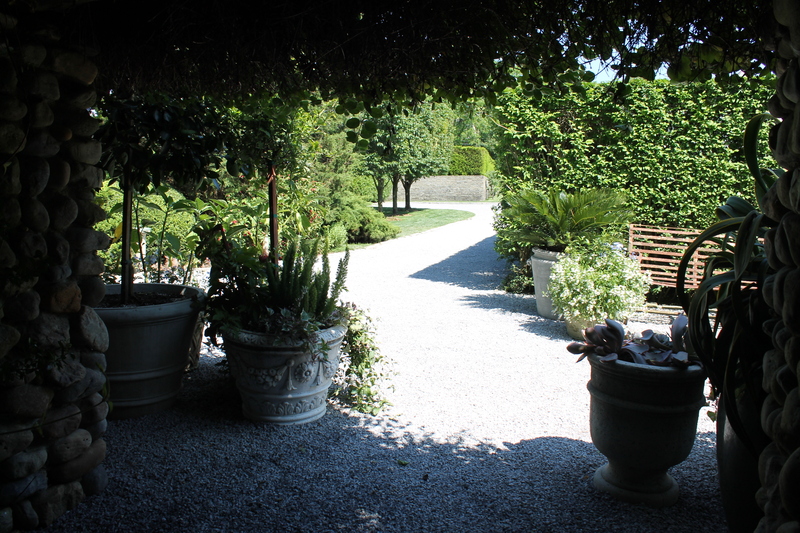 The weather was impeccable just as the gardens were. After all the rain we have had in the last week, touring estates in East Hampton and their beautiful gardens to help support the wonderful work ARF does on a perfect weather day was fantastic! 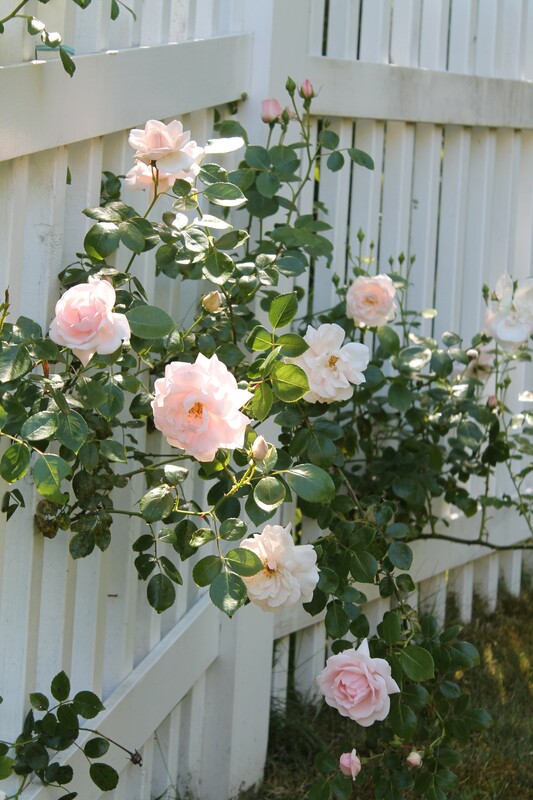 Plus you get a lot of ideas for your own garden too. So what is the garden tour? 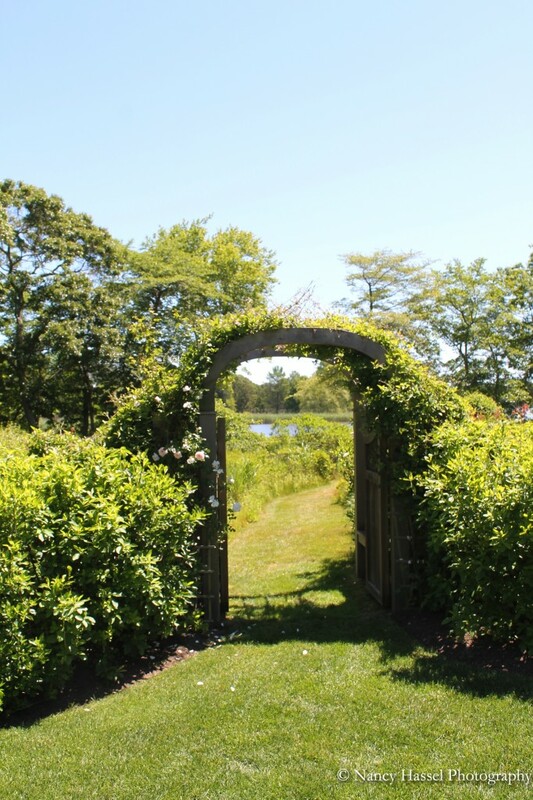 It is a self-guided tour through the properties of 6 estates who’s owners generously open their gates to let people walk through and admire the beauty of their grounds. 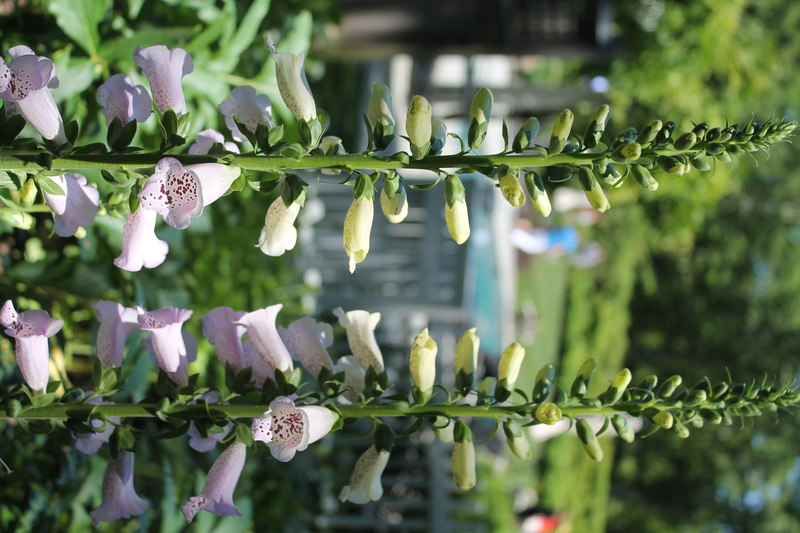 From 10 am – 4pm the general public can buy a garden tour pass from ARF to take the lovely self guided tour and all proceeds go to help ARF’s adoptable animals – and continue the great work they do, for nearly 40 years! 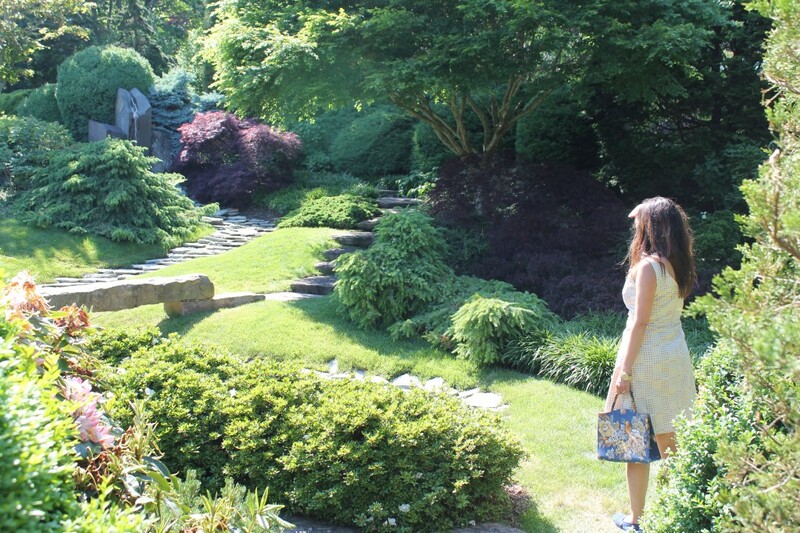 The tour happens every year in a different Hamptons location, this year it was in East Hampton and the garden styles vary from house to house and are very unique with native plants and exotic plants too. See below for more! 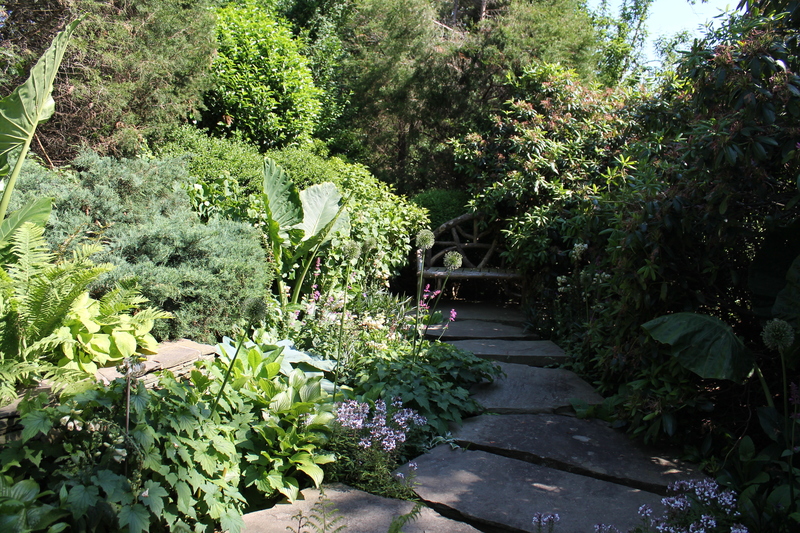 beyond it that lead to a tennis court and the rest of the grounds of the house. 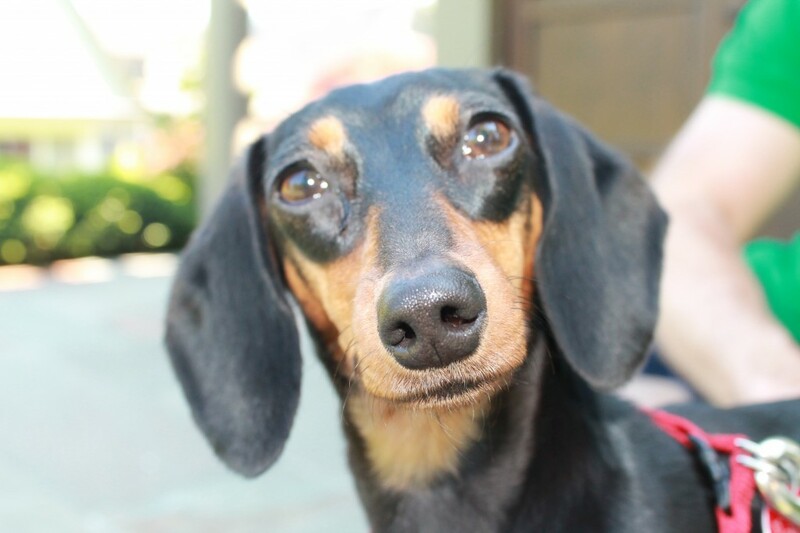 Adorable Doxie greeting guests as they arrived! Alexandra Munroe & Robert Rosenkranz, Jan & Randy Slifka, Craig James Socia, Peter Wilson & Scott Sanders. We saw one couple do the tour on bike which is a great way to do it, otherwise you have to drive from house to house. I am thinking next year would be great to view the houses via my bicycle! hand as well as the adorable pups below that are available for adoption through ARF. To see MORE Pictures of the tour, click here! 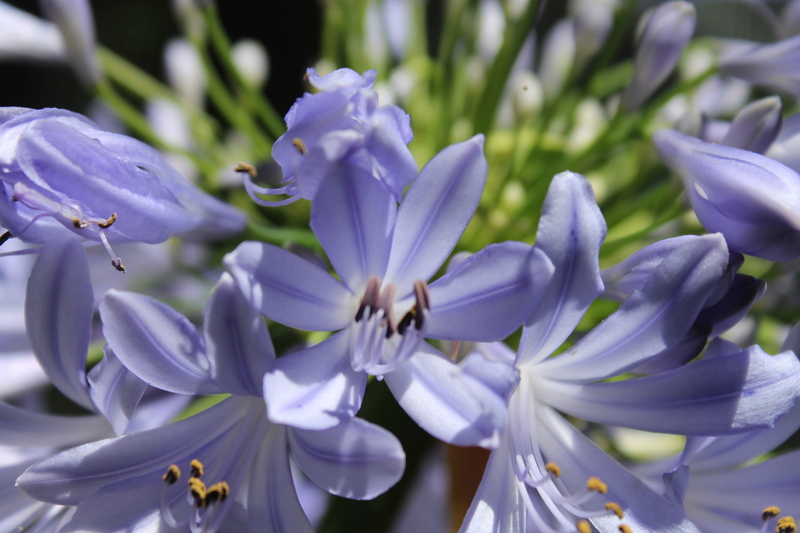 For more information about ARF and to attend the garden tour next year, click here. Just because we already passed tumbleweed Tuesday (the day after Labor Day), and there is a distinct chill in the air doesn’t mean there is nothing happening on the East End. There are some really fantastic pet events happening that are perfect for your autumn outings with your four legged friends. The first of which happens to be taking place this Sunday, September 23, 2012 at Martha Clara Vineyards in Riverhead, NY. The 3rd Annual Wines & Canines 5k Dog Walk/Run to benefit Kent Animal Shelter. The event starts at 11am and participants will enjoy walking or running through 200-acres of scenic vineyards during peak harvest season on the North Fork at Martha Clara Vineyards. This is a non-competitive run or walk where guests can bring their pooch along with them for this special leisurely dog walk/run to benefit homeless animals at Kent Animal Shelter. Wine tasting, food vendors, pet vendors, auctions, prizes, K-9 Frisbee demonstration and more! What’s better than a day out on the East End with your pup to help homeless animals and drink some fabulous wine? I am in! To get more info and download a registration form www.KentAnimalShelter.com/winesandcanines/ or register in person at the event. The cost for the event is a $25 minimum donation per person and children 12 and under are free. Registration begins at 11AM, walkers and runners may start the course anytime between 11AM and 1PM as it is not a timed race. For questions please call (631) 727-5731. Well behaved and leashed dogs please! (No retractable leashes). Another east end event, but on the South Fork is the Animal Rescue Fund of the Hamptons (ARF) Annual Stroll to Sea Dog Walk on Saturday, October 6th at Mulford Farm in East Hampton, NY. And stick around for the next event…TV and movie pet celebrity to be at the next event! 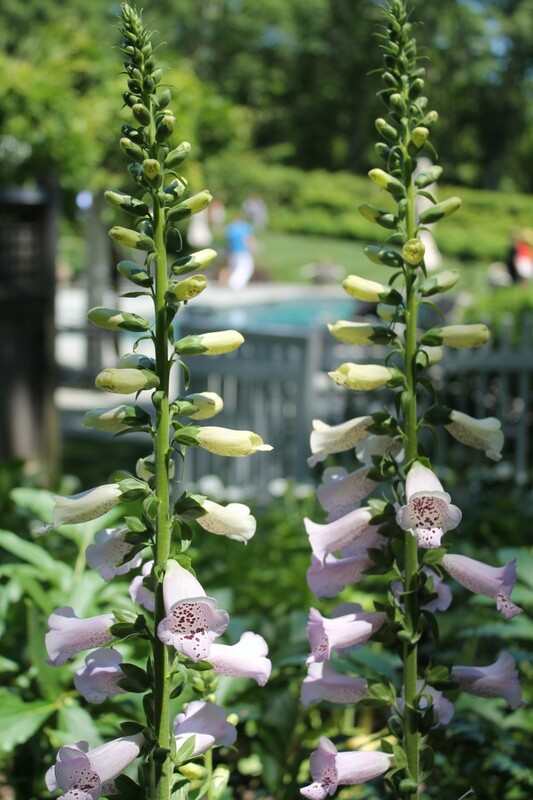 If you are more inclined to go to Montauk, we have the event for you! On Monday, October 8th, 2012 (Columbus Day) from 12:30pm-5:00pm there will be a Pet Celebration and Luncheon Event at the Oceanside Beach Resort in Montauk (626 Montauk Highway, Montauk, NY 11954). The Pet Celebration and Luncheon Event will have: music; pet vendors; raffles; pet costume contests; adoptable pets; goody bags; yummy food for humans and dogs alike; dog festivities and much more! This event is being held to celebrate the completion of A Journey Four Paws – in which Irene Rabinowitz and her 10-year old dog Sydney will be walking the last 10-miles of their 70-mile, four day journey into Montauk! A special guest appearance by Bocker the Labradoodle, TV & Movie Pet Celebrity will be at the event signing pawtographs! 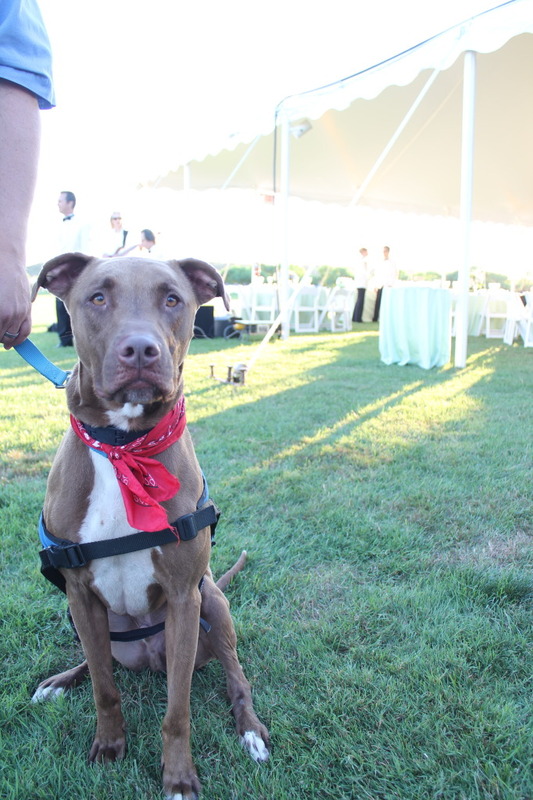 Guests can bring their dogs dressed in their best most creative Montauk Monster, Surfer Dog, or original costume! 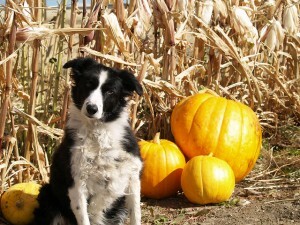 Humans can dress up to if they wish as it is close to Howl-o-ween! Come and join us to cheer Irene and Sydney as they complete the ‘tail end’ of this amazing journey all while raising funds and awareness for the Long Island chapter of the Arthritis Foundation and for Central Suffolk Paws – an division under LI-Dog that helps get much needed dog parks in our towns on Long Island. 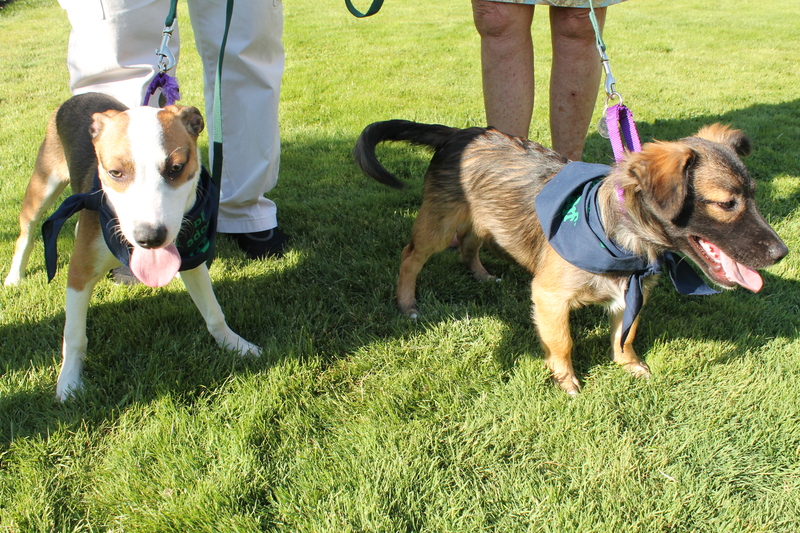 Tickets to the luncheon are $35 per person and dogs attend for free! To purchase tickets or find out more information about this event go to www.barksnbubblesli.com/2445.html. And for more events happening across the East End and Long Island, sign up for the weekly FREE Pet Events Newsletter and don’t miss another event!